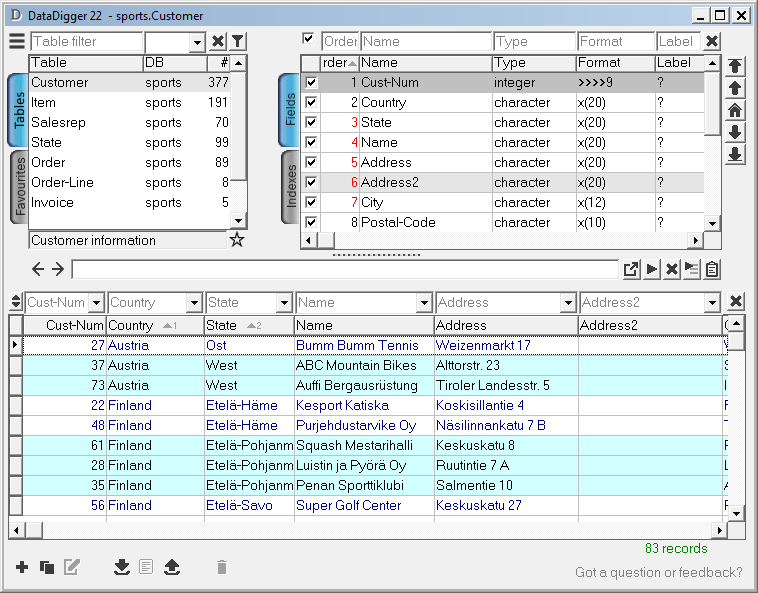 The DataDigger is a window that shows all tables in all connected databases. You can select a table, select which fields you want to see and browse through the data of that table. You can add, update, delete, import and export the data, even multiple records at the same time.